For those who want to make their own winch mount or bumper, here is a great starting point. These are 1/4" thick steel laser cut and formed. 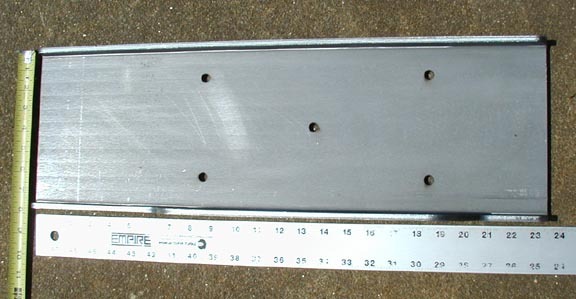 They will fit all 5000-9500# winches with the standard 4.5" x 10" rectangular mounting bolt pattern. We put an extra hole in the center of this pattern to help you center the mount. We offer 2 versions. The only difference is in their width. Narrow Version is 23" wide and is asymmetrical. It covers about 1/2" wider than the base of a winch just enough to protect it but no extra size or weight.